Opposable thumbs really come in handy when holding a toothbrush. There is no doubt that if your pets had them, they would spend more time brushing! If humans forget to brush, or brush improperly, it may result in gingivitis, tooth decay, bad breath, and a “yucky” taste in their mouths. This is true for dogs and cats as well. There are many life threatening issues that can arise from chronic dental disease. Our experienced staff will assist you in making sure your critter is cared for. Ask us for information on how to practice better oral hygiene for your four-footed family member. In addition to teeth cleaning, we also provide tooth-extractions and other oral surgery. 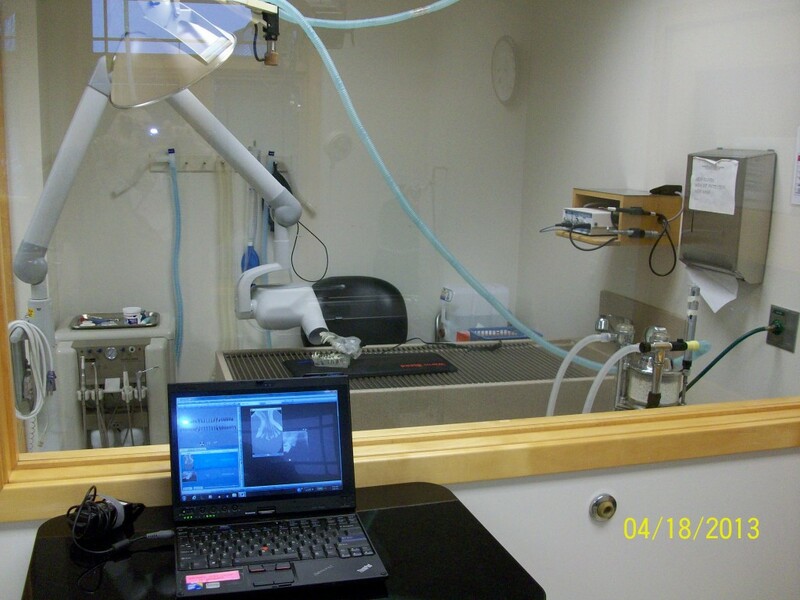 We utilize the latest technology to ensure your pet receives top-notch care. Notice the tartar buildup. While giving your dogs dental chew toys can help them keep their teeth clean, if they don’t chew the toy with ALL of their teeth (they never do) and the result is excess tartar. 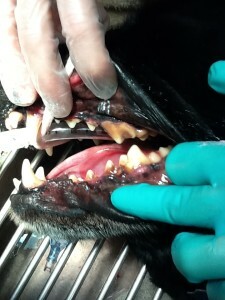 We can clean your pet’s teeth, but you could be doing it! If you occasionally forget to brush your teeth you only have to deal with a bad taste in your mouth and the possibility of offending someone else. What? Your pets can’t brush their own teeth? Then do it for them! 1.) Old food sticks to their teeth and turns into tartar. 2.) The tartar builds up along the gums and below the gum line (we call this gingivitis in humans). 3.) The tarter collects bacteria, which gets released into the gums and its blood supply. This can poison the animal over time. 4.) As the bacteria build up in the animal’s body, they spread into the heart, the kidneys and throughout their other organs. Eventually, the disease can overwhelm the animal’s systems and they die. If you don’t want to tackle the challenge of brushing your pet’s teeth, we do provide dental cleaning services for your pet. 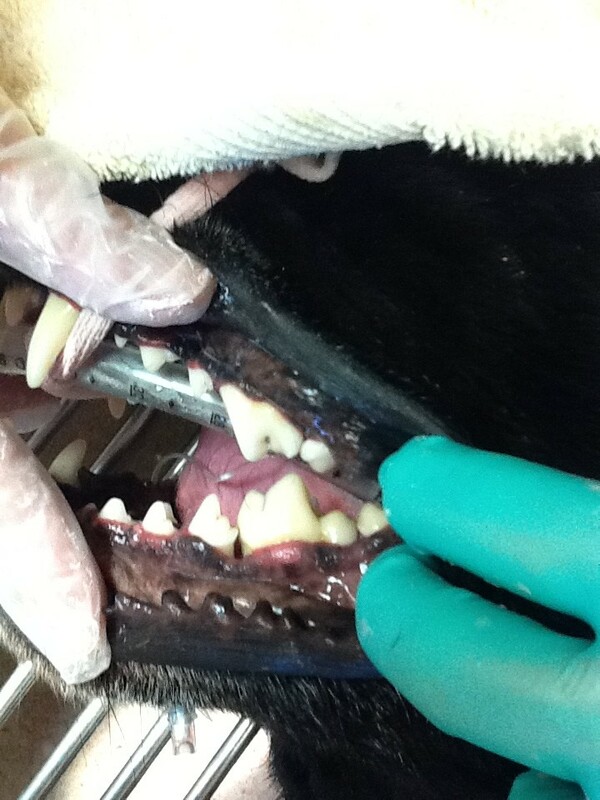 One more quick tip before you brush your pet’s teeth for the first time: get it on video!